One of the biggest-ever mergers in the oil industry. The largest corporate bond sale on record. The most lucrative initial public offering in “human history.” The timetable: two and a half years. After a summer when the IPO of Saudi Arabia’s state oil-giant Aramco appeared set for semi-permanent limbo, Crown Prince Mohammed bin Salman has not only revived it, but imposed a schedule for achieving a series of deals that would test any management team. 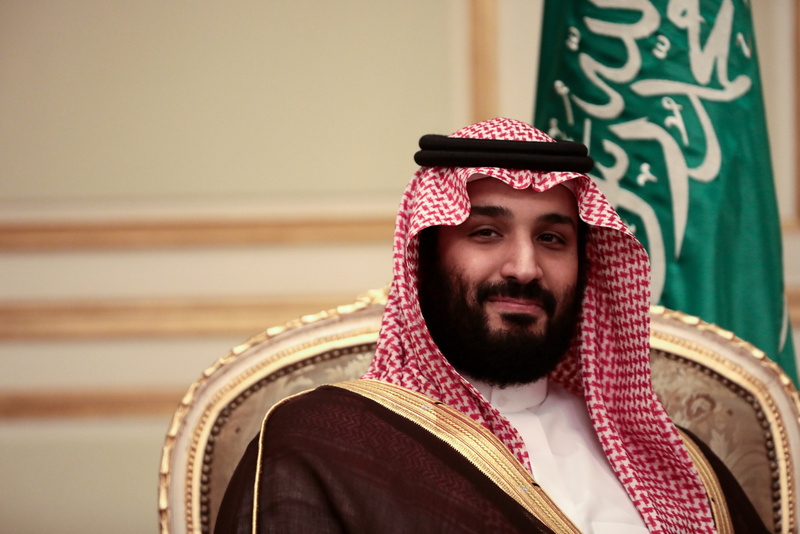 The 33-year-old heir to the Saudi throne wants Aramco to complete a deal to buy a $70 billion stake in the kingdom’s biggest petrochemical company, Sabic, issue debt to finance the acquisition and go public by late 2020 or early 2021. “He’s showing leadership,” said Nasser Saidi, president and founder of Nasser Saidi & Associates, an economic and business consultant active in the Middle East. Prince Mohammed, who controls the levers of power in the kingdom, wasn’t doing anything to talk down the scale and significance of the IPO. “You’re talking about the biggest share sale in human history,” he said in an interview with Bloomberg in Riyadh. The interview made clear bringing the world’s biggest oil producer to public markets remains central to the crown prince’s ambitious economic agenda, Vision 2030, and his credentials as a serious reformer. But meeting his new schedule will be tough. If Saudi officials are able to deliver, the process will be as follows, according to people familiar with the plan who asked not to be named because the details are private. Before the end of the year, Aramco will officially announce its plan to buy a strategic stake in Saudi Basic Industries Corp., commonly known as Sabic, most likely the 70 percent owned by the country’s sovereign wealth fund. During the first half of 2019, Aramco and Sabic need to clear all regulatory and antitrust hurdles — particularly in Europe — and close the deal. Soon after, Aramco, which the crown prince emphasized has little debt, needs to tap the bond market to finance the acquisition. The current plan calls for some bridge loans to give time to prepare for a multi-tranche bond. It’s likely to surpass the record set by Verizon Communications Inc. in 2013 when it raised $49 billion to buy Vodafone Group Plc’s stake in its cellular phone unit. The company then needs a full financial year before going public, so the deal with Sabic, and most likely the bond, need to close before the beginning of 2020 so Aramco can hold its IPO by early 2021. All the tasks above aren’t just time consuming — some are beyond the control of the Saudis. Take clearing antitrust for the Aramco-Sabic deal. The European Union will have a say as Sabic recently took control of Swiss-based chemical company Clariant AG. In America, regulators may also insist in taking a look at the deal. Although much of the Aramco’s IPO preparation has already been done — simplifying the corporate structure and preparing financial statements, for example — key decisions about the deal have yet to be made. Most importantly, where it takes place. Prince Mohammed is keen to list Aramco in New York, but advisers are wary of opening up the company to the risks of U.S. litigation. It’s going to be a long slog for those banks advising on the IPO, including JPMorgan Chase & Co., Morgan Stanley and HSBC Group Plc. “There is a logic to keeping expectations up on the IPO, as it dangles the possibility of fees, and keeps interest on and press attention on Vision 2030,” said Karen Young, resident scholar at the American Enterprise Institute in Washington and a specialist in the political economy of the Middle East. But “some advisers may be frustrated at the pace, as they need to demonstrate the value of the engagement without a return now in two years,” she said. Then there’s the most significant issue of all: valuation. Although Prince Mohammed said in last week’s interview the market would ultimately decide how much Aramco is worth, he didn’t backtrack on the the $2 trillion forecast he first put forward 2016. Since the IPO plan was first announced, however, almost every consultant, investor and analyst who’s run the numbers concluded that the company is worth between $1 trillion and $1.5 trillion. Enough to make Aramco the world’s most valuable enterprise, but a long way from the prince’s target. It’s true, as the prince pointed out in the interview, that buying Sabic will enlarge the company, but taking on debt to do the deal will limit the increase in equity value. The recent rally in the oil price to a four-year high above $85 a barrel may have a bigger impact, though based on the recent performance of competitors like Exxon Mobil Corp. and Royal Dutch Shell Plc it’s unlikely to make enough of a difference. There are options for boosting the value of the Aramco. The government could reduce the tax burden on the company, which currently rises with crude prices, leaving more money for investors. But by doubling down on his $2 trillion valuation, the prince has made a successful share sale considerably harder.